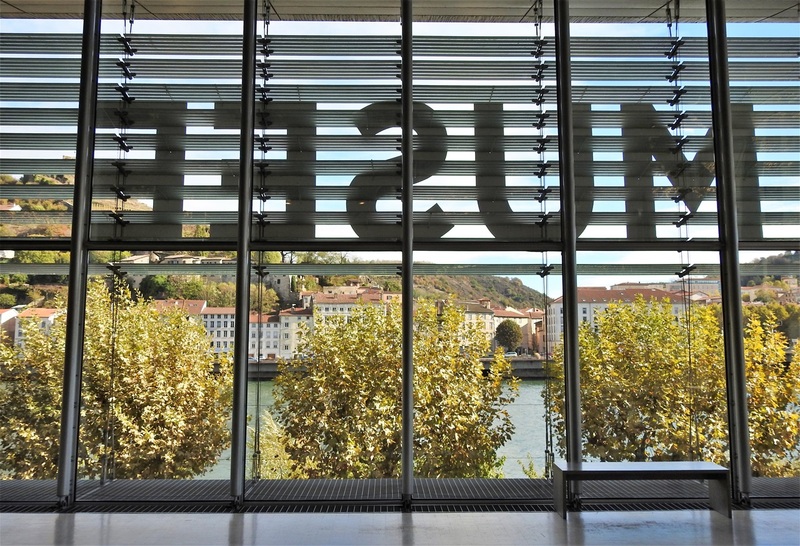 Rhone river and Vienne seen from inside the permanent exhibition building of the museum. The location of the museum on the map. 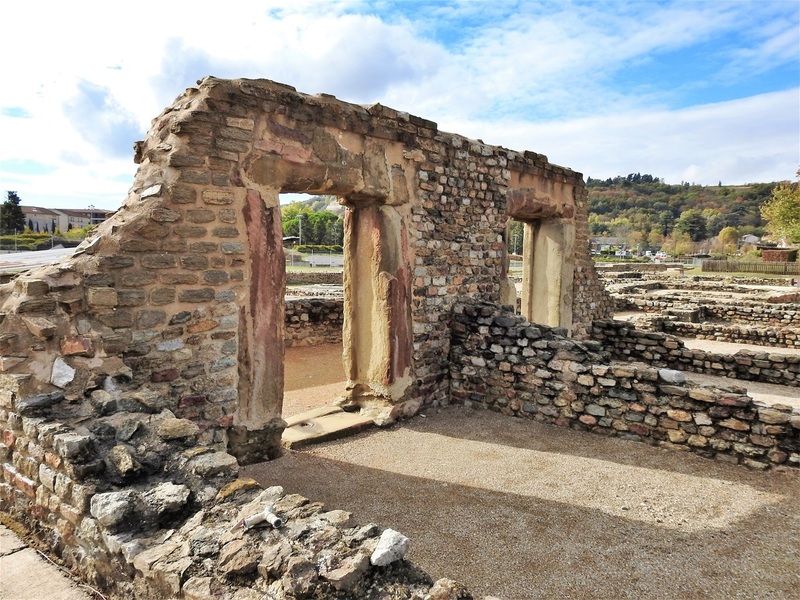 Located 30 km to the South of Lyon, on the right bank of the Rhone river, the archaeological site of Saint-Romain-en-Gal – Vienne offers on a big area, the remains of a neighborhood of the Roman city of Vienne. 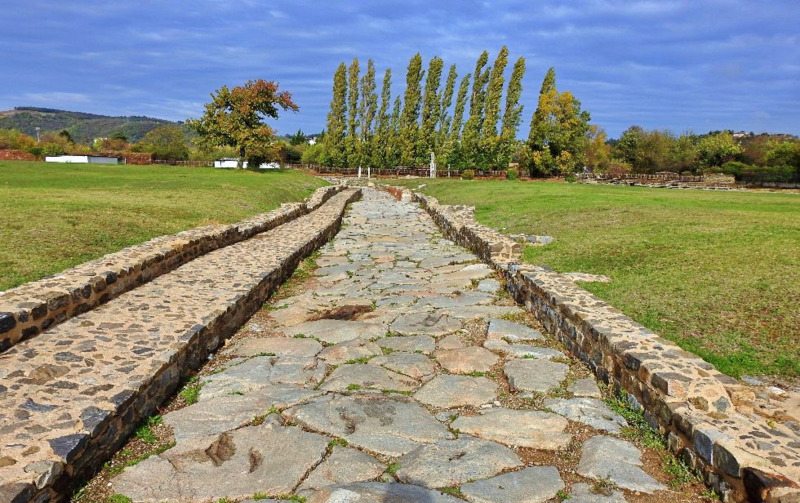 This amazing archeological site wouldn’t be complete without a museum to house the important findings of the area. The Rhone valley from above. 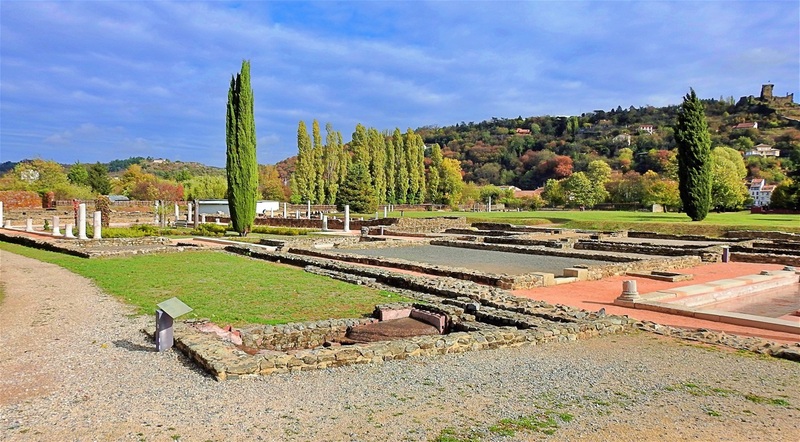 The Museum and the archeologica site seen in the foreground. 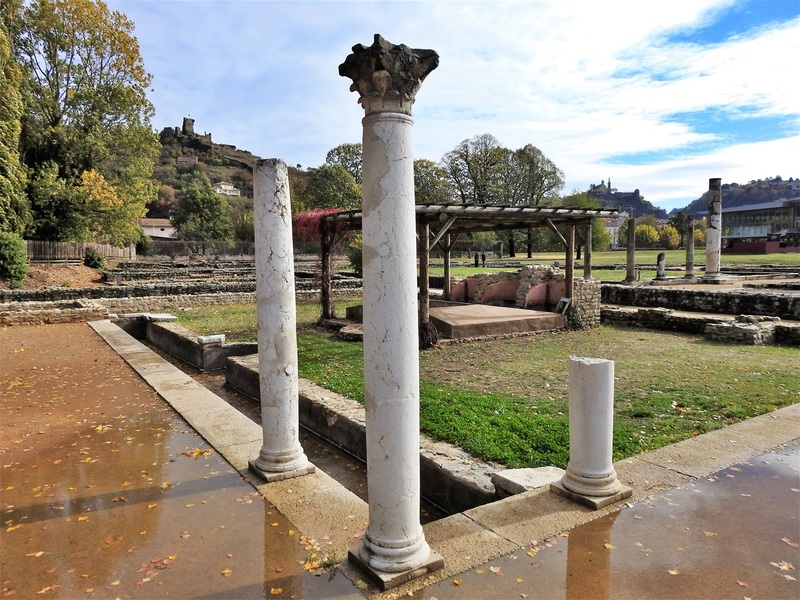 A) Along the river, the permanent exhibition building, built on stilts, is an aerial structure, that perfectly merges with the plan of a city block of the Roman city explored before its construction. 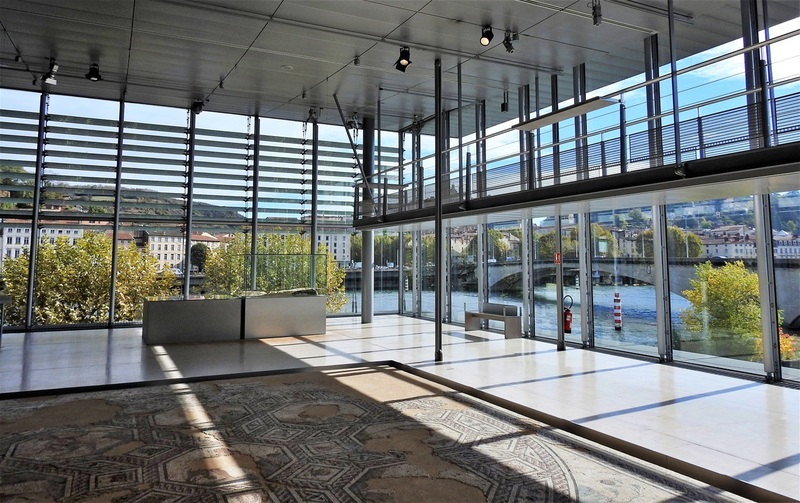 Transparent on all fronts, the permanent exhibition building provides an overview of the Gallo-Roman district of Saint-Romain-en-Gal, the Rhone river and the city of Vienna on the left bank. 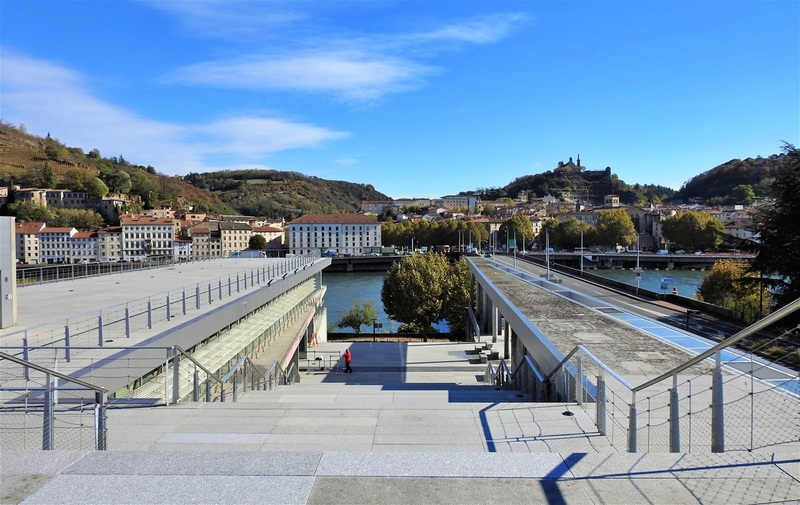 B) Perpendicular to the Rhone river, the reception building with concrete structures appears firmly rooted to the ground. 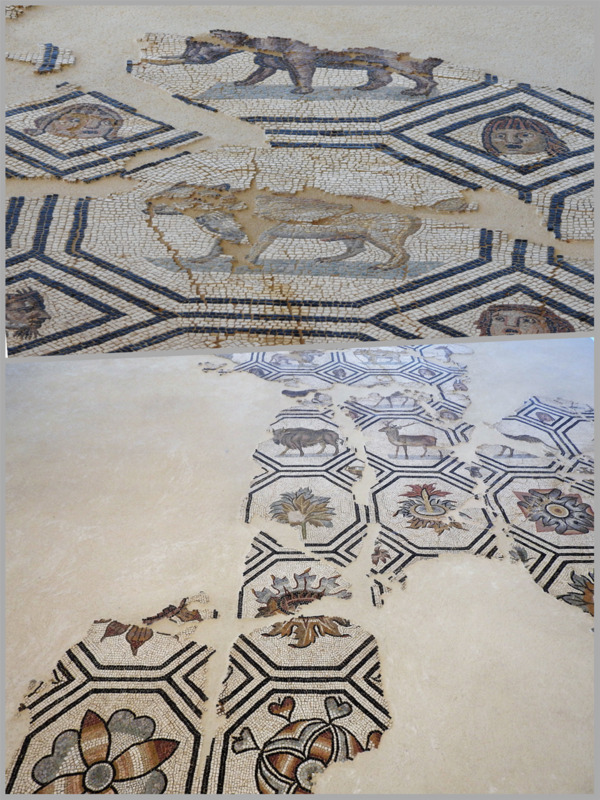 It welcomes the various functions of the museum such as the ticket office, the temporary exhibition, the shop and the restaurant, as well as a research center and a mosaic restoration workshop. The two museum buildings seen in the background: the permanent exhibition building is in the middle and the reception building on the right. In the foreground is "La maison des Dieux Océan" (the house of the two Oceans). 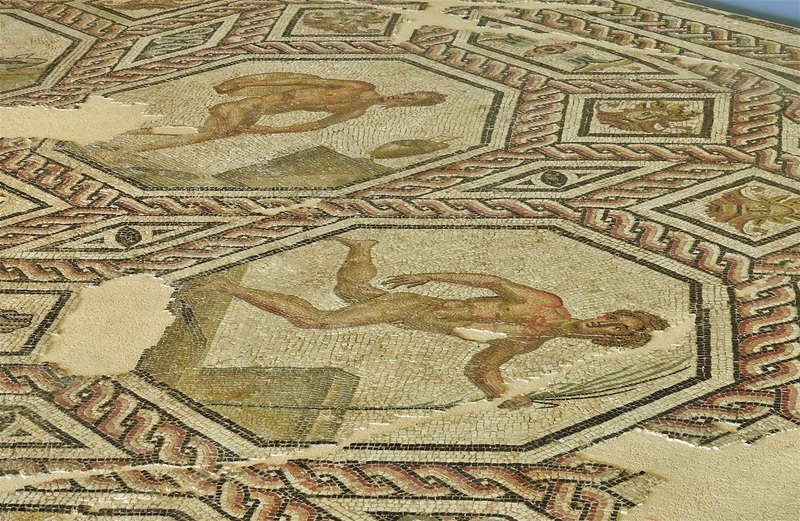 The collections provide a complete view of the daily life in the first centuries AD. 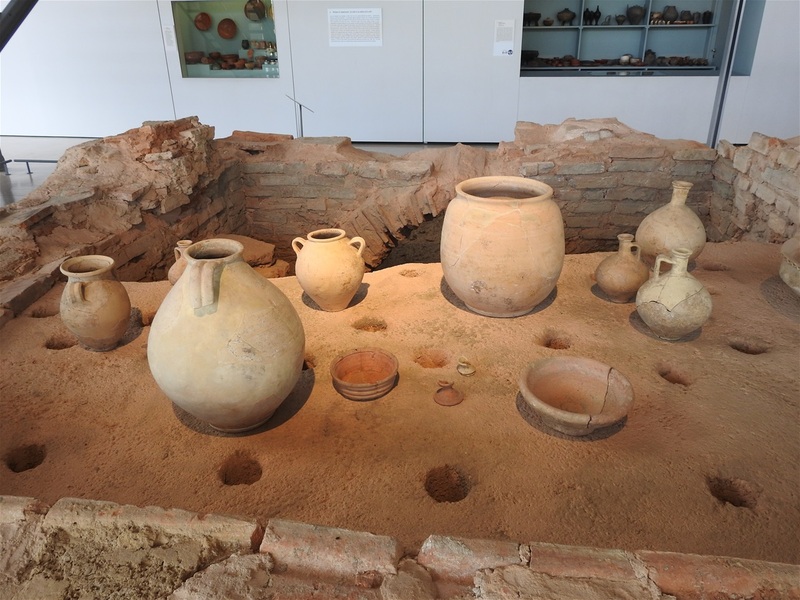 The layout has an ethnological approach, with numerous reconstructions in the form of models. 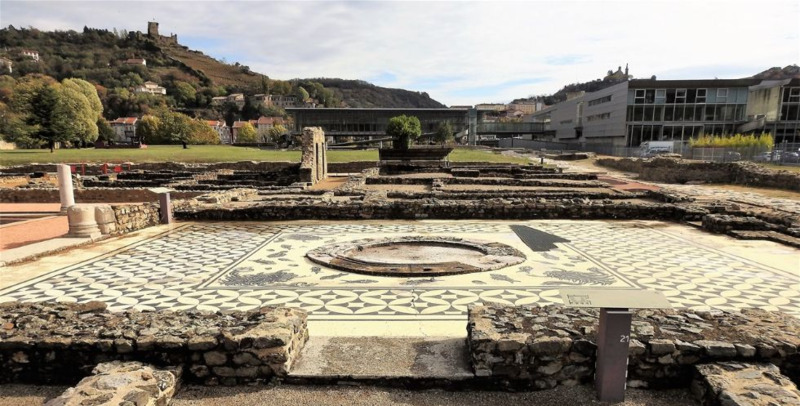 The visitor, is introduced first to the site and its history, and the extent of the Romanization, including the mosaic of the victorious athletes, the wrestlers’ baths paintings and the model of Vienne in the second century AD. 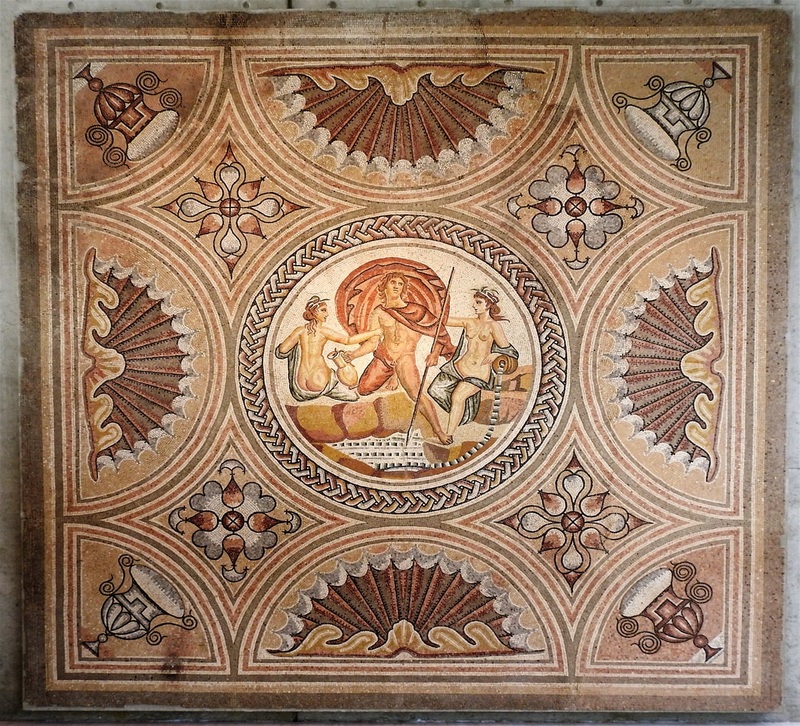 Mosaic located at the reception building. 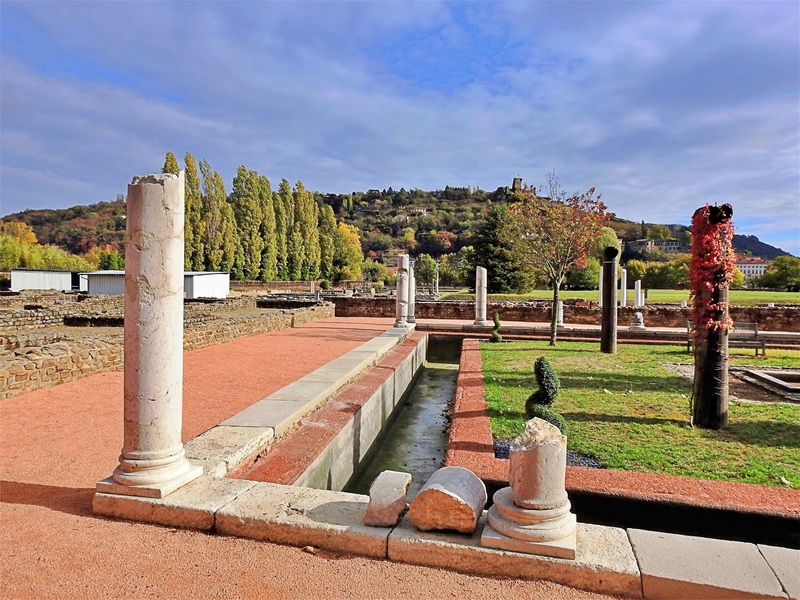 Crafts, trade and the economic importance of the city, source of wealth for its inhabitants, are then discussed in the museum part overlooking the Rhône, recalling then the essential role of the river as a mean of communication and transportation. 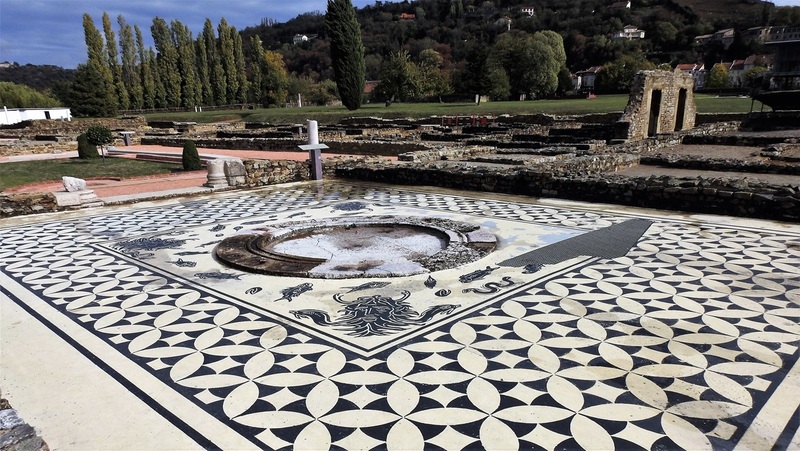 Further, it is also possible to discover the diversity of the designs and the original style of the Vienne mosaic. 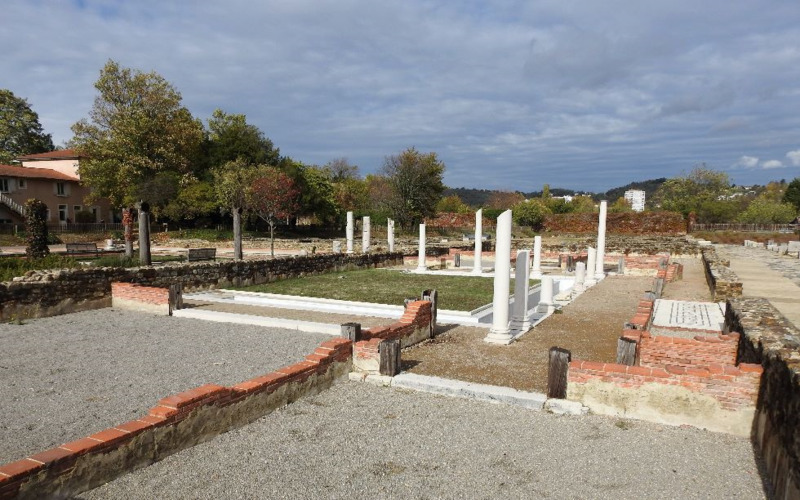 Finally, overlooking the archaeological site, a presentation of the Roman house, room by room, which restores the context and gestures of the daily life. 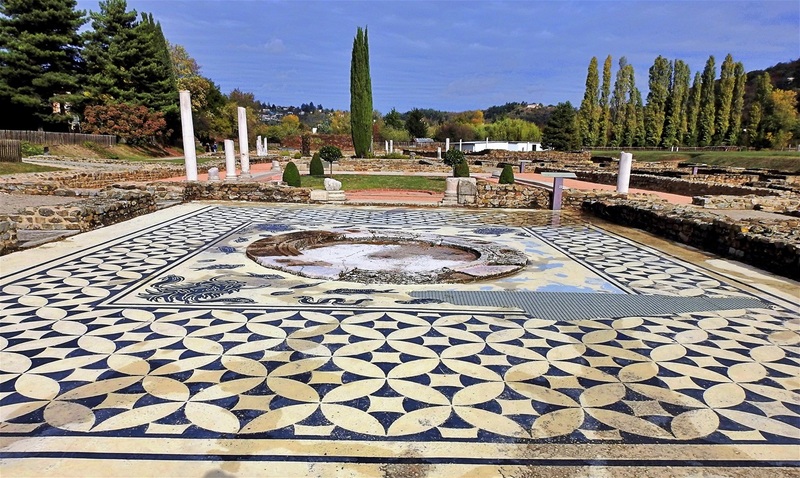 Mosaic of the two Oceans from "La maison des Dieux Océan" (end of 2nd century AD). Details from the moisaic of "Orphée charmant les animaux" ("Orfeus charming the animals"). Details from the moisaic of "Orphée charmant les animaux" (Orfeus charming the animals). 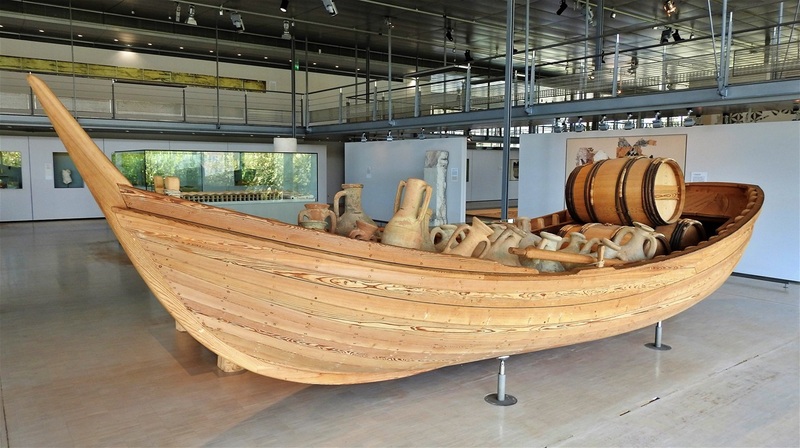 Reconstitution of a boat loaded with amphoras and barrels, replica of a harbor craft discovered in Toulon. 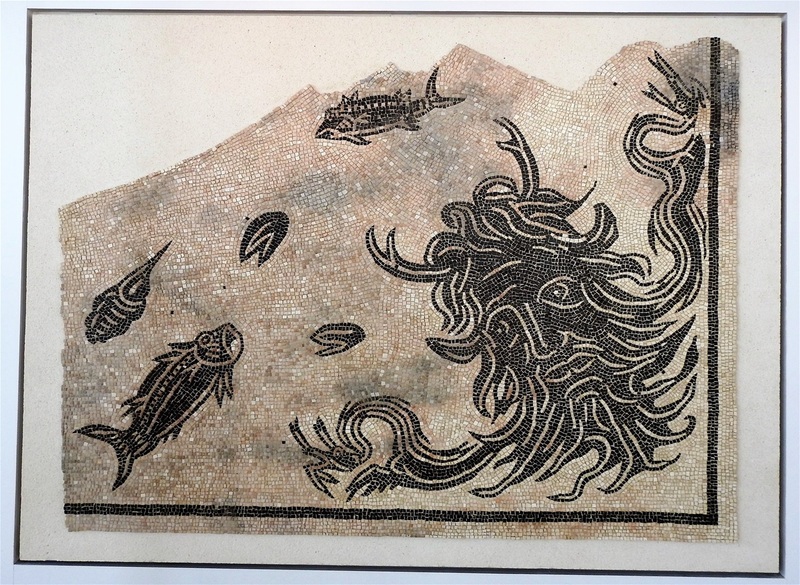 Mosaic of the River Gods (beginning of the 3rd century AD). 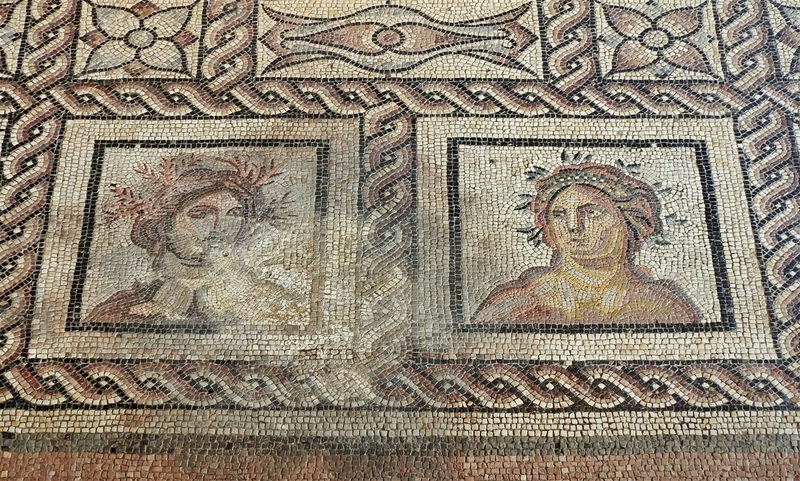 Details of the mosaic of craters and birds (last quarter of the 2nd century AD). 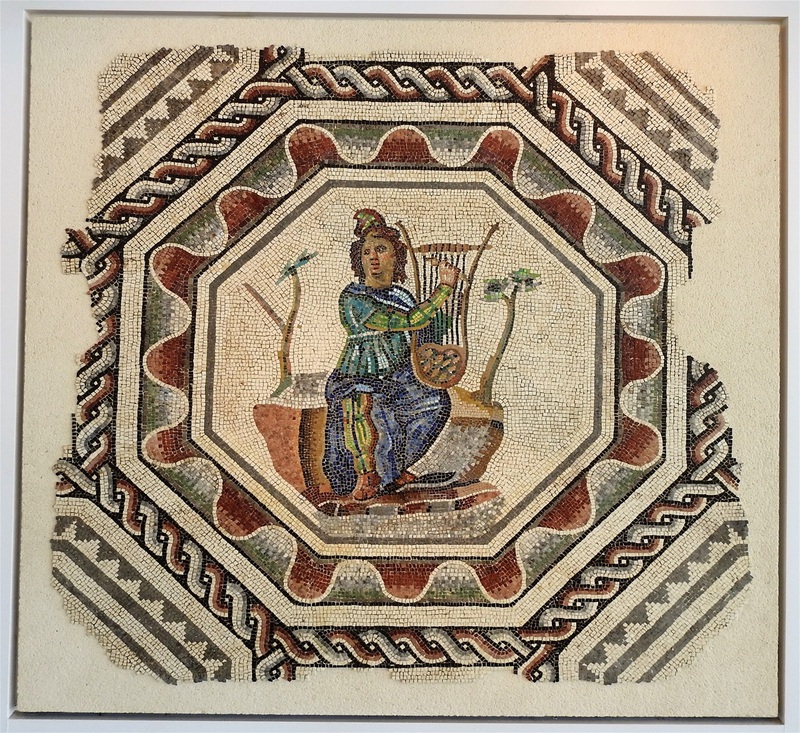 Frescos from a Roman house. 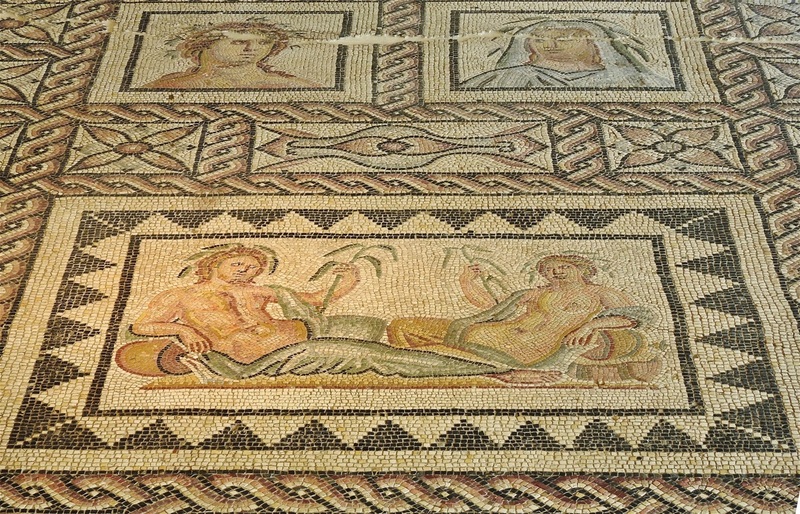 A rare motive of a mosaic celebrating the gastronomic pleasures. The mosaic of the victorious athletes. Beautiful views inside and outside. 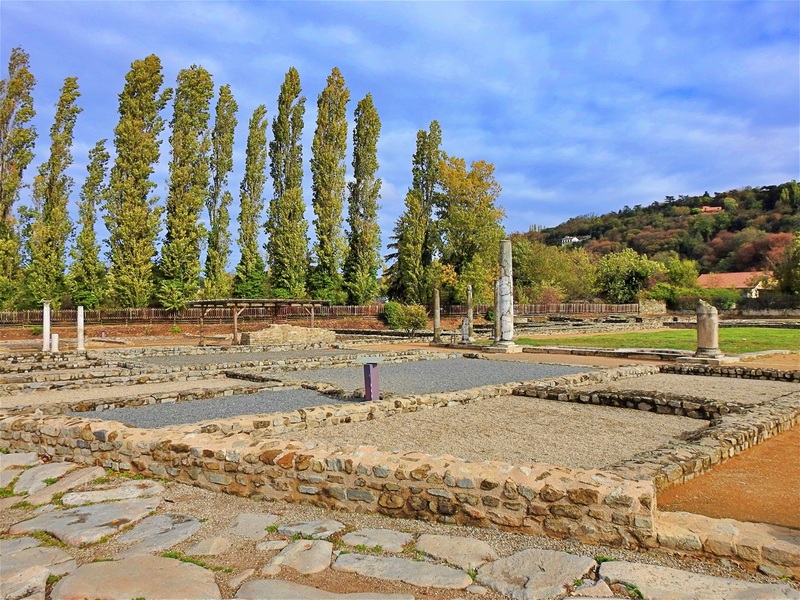 On seven hectares, the vestiges of the rich residential area of Vienna, then a “Roman colony”, can be found. 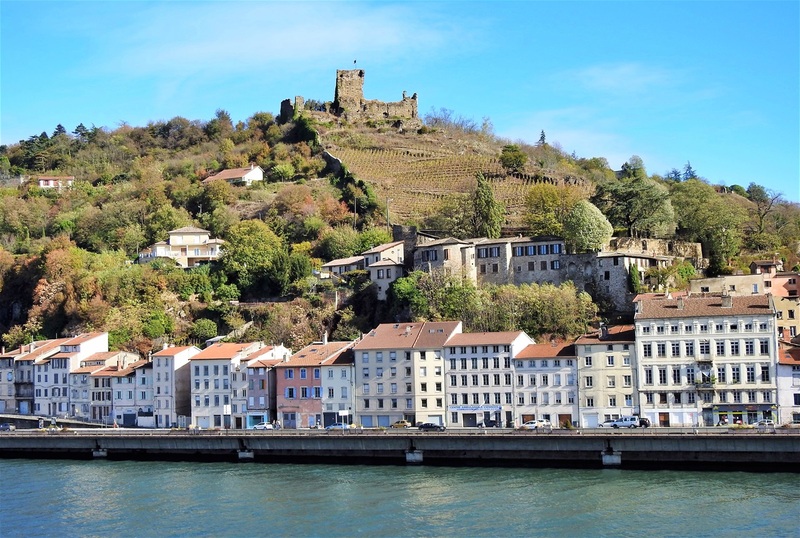 Located at the edge of the Rhône, the major axis by which the goods between the Mediterranean Sea and the provinces of the North passed in transit, as the city of Vienna, knew a strong development in the 50s AD. 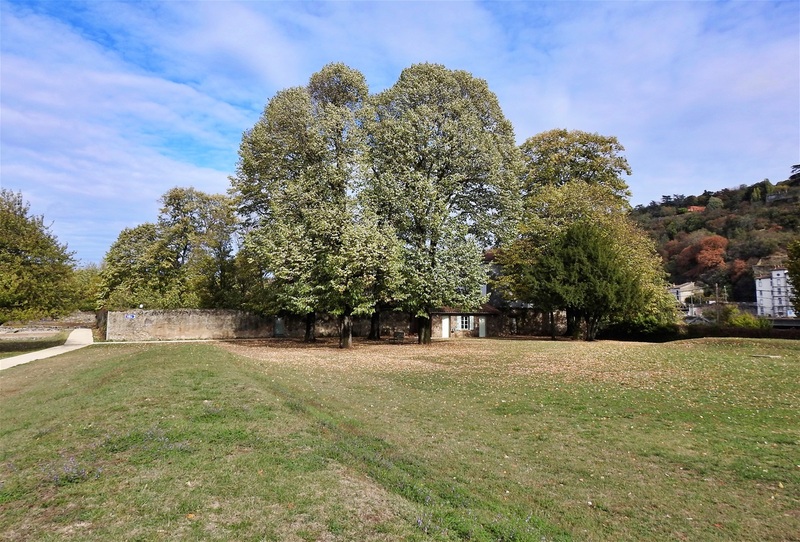 The wealth of the inhabitants is expressed by the luxury of houses which are situated next to the thermal baths, shops, workshops of craftsmen, workshops. 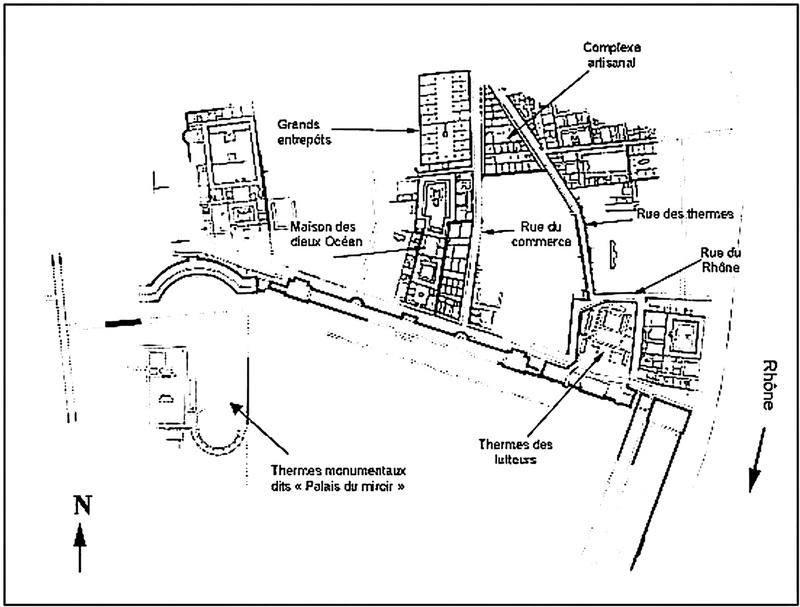 Plan of the archaeological site of Saint-Romain-en-Gal. 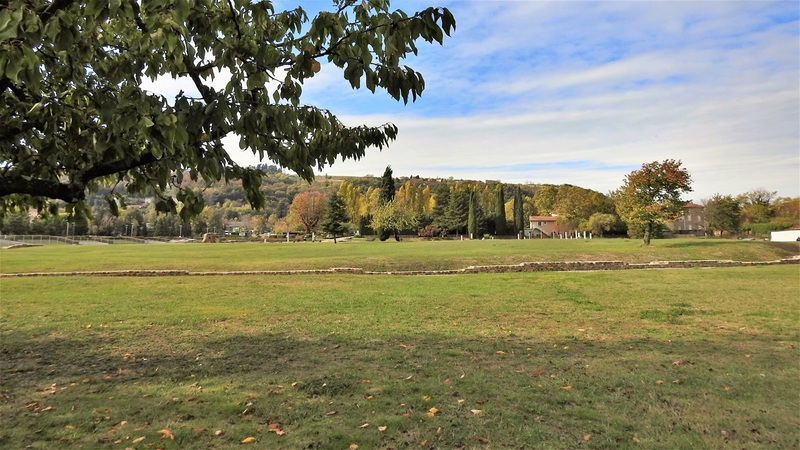 In 1967, before the construction of a high school, the archaeologists began a big excavation in the place named “La Plaine”. And there is the surprise! They discovered the vestiges of an entire city! The brought to light of the big houses with the luxurious accommodations, paved ways, public thermal baths, warehouses and workshops, enable slowly but surely to recompose an urban landscape among which the organization and the attention to comfort amaze by their modernity. Rue du Rhone (the Rhone street). 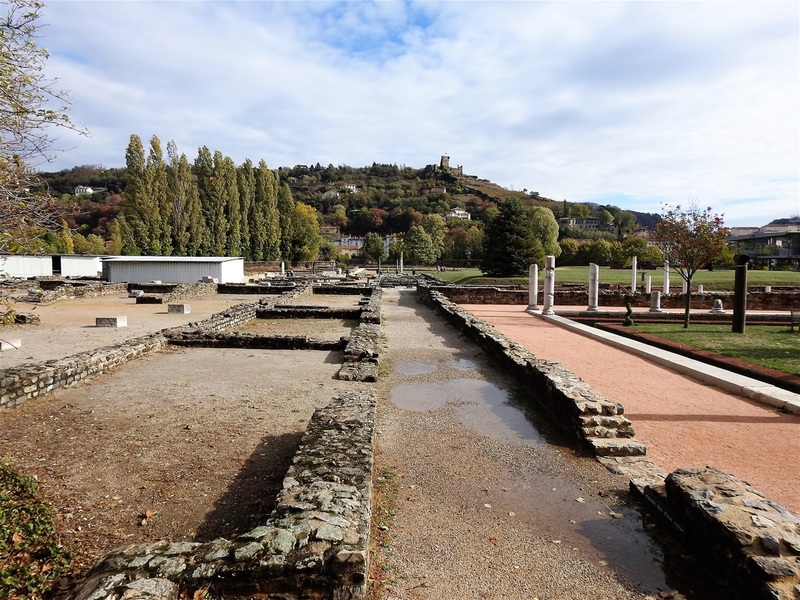 "Les thermes des lutteurs" (the wrestlers' baths) seen from the permanent exhibition building. 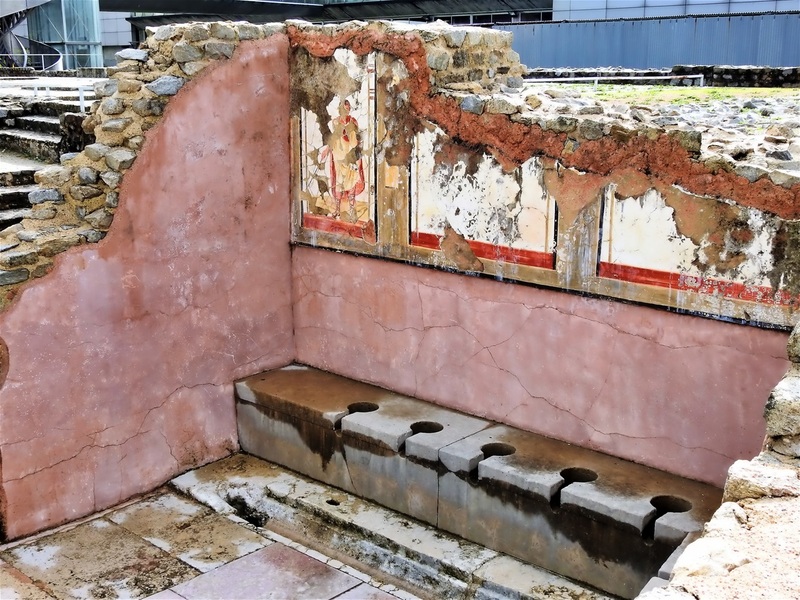 The latrines of the "Les thermes des lutteurs" (the wrestlers' baths). La rue des Thermes (the baths road). "Maison de Sucellus" (Sucellus House). A little paradise between the public baths and the shops. "Maison de Sucellus" (Sucellus House). The peristyle. The main building of "Maison de Sucellus" (Sucellus House). 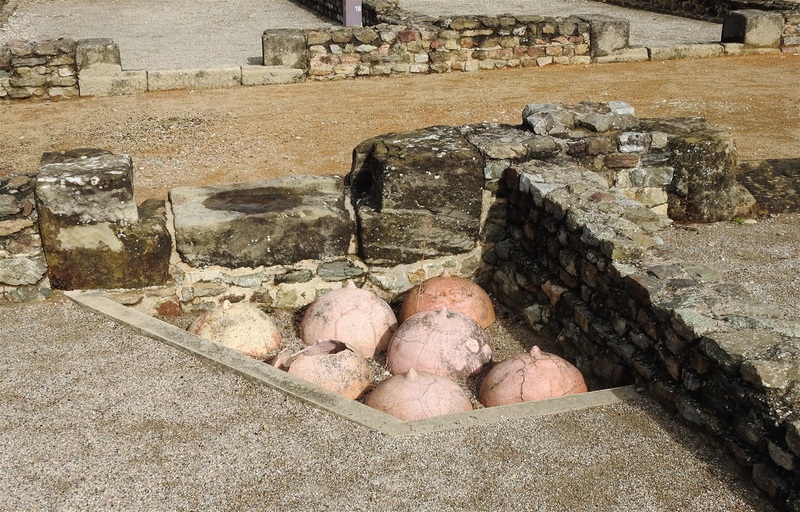 Hypocaust (system of central heating) of a house. 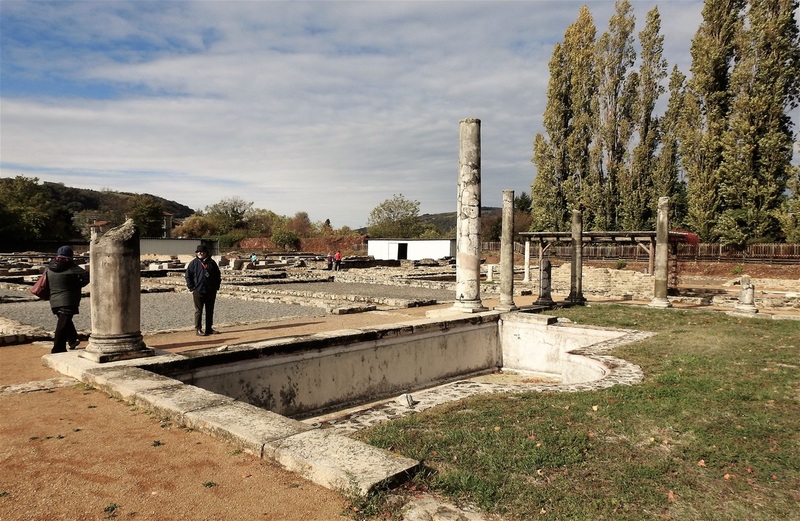 The small peristyle. "La maison des Dieux Océan" (the "two oceans house"). "La maison des Dieux Océan" (the "two oceans house"). 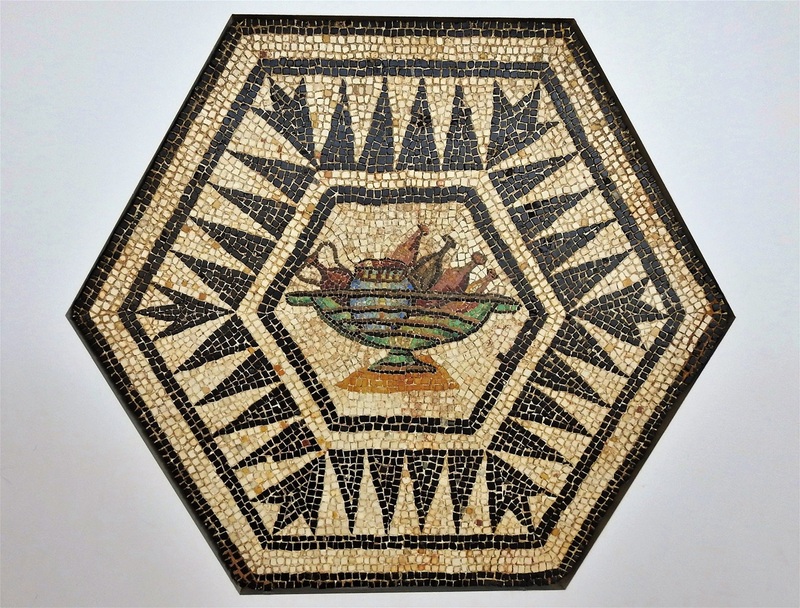 The two oceans mosaic. The big peristyle. "La maison des Dieux Océan" (the "two oceans house"). The main building of the "La maison des Dieux Océan" (the "two oceans house"). 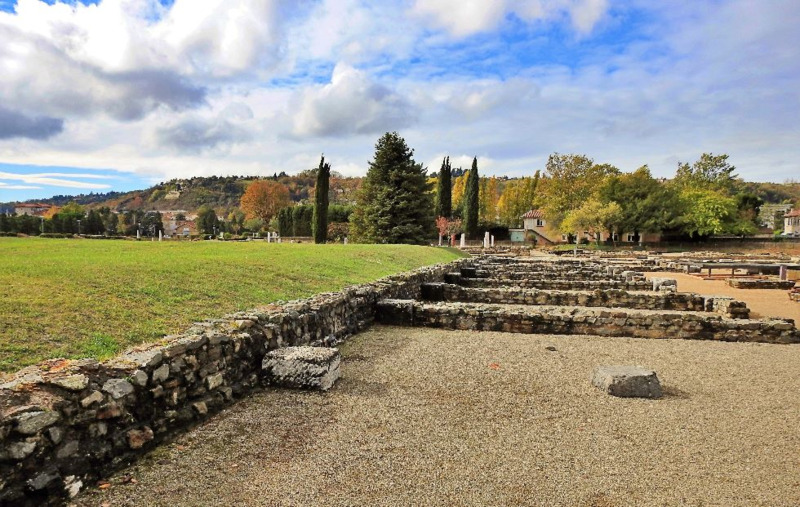 The archaeological site of Saint-Romain-en-Gal. School kids visiting the site. 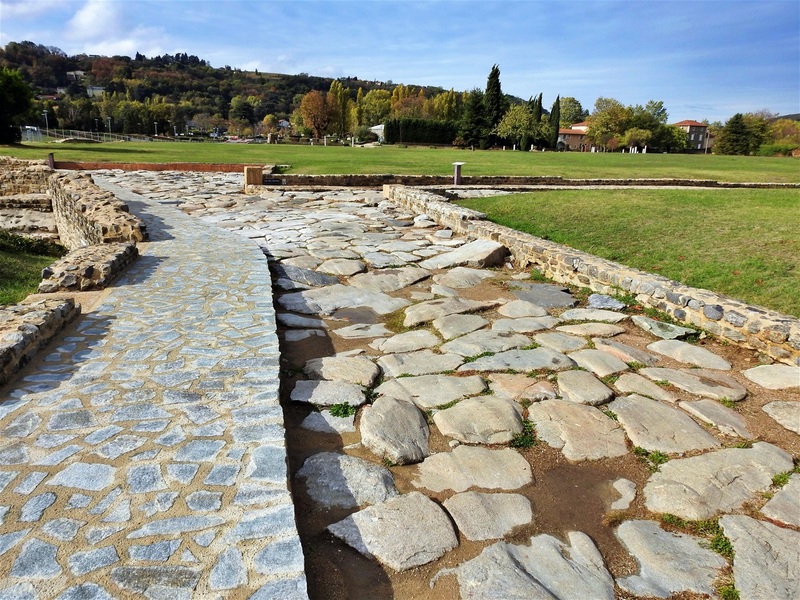 The archeological site offers big green areas for relaxation. The quiet charm of the site. The museum offers wonderful views through its all glass walls, but get on the roof of it, via the huge stairways outside the main entrance, to admire all the splendid of the area. Opening hours: The museum is open every day from 10 a.m to 6 p.m, except Mondays and public holidays. 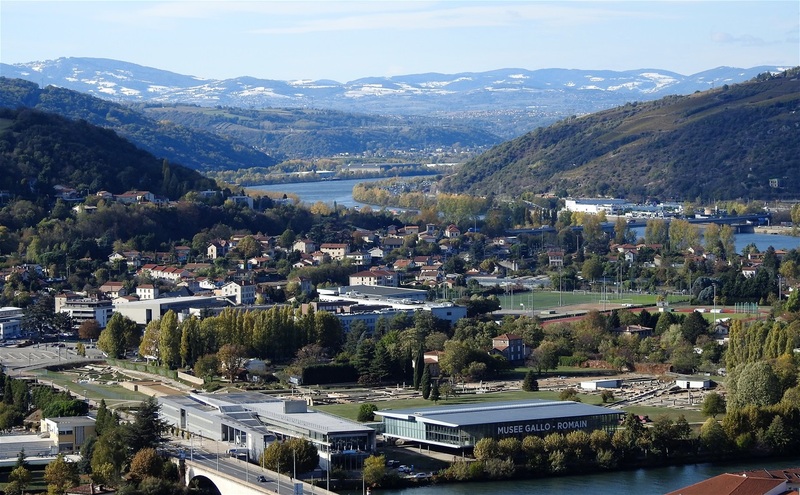 A single ticket for six museums and sites of the Vienne area is available for the price of 8 €. 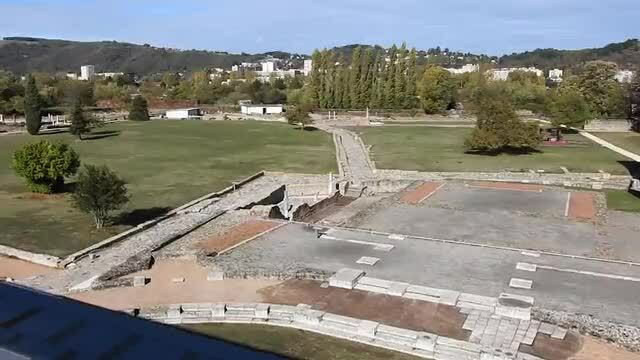 The roof of the museum offers great views over the Rhone valley, Vienne and the archeological site. 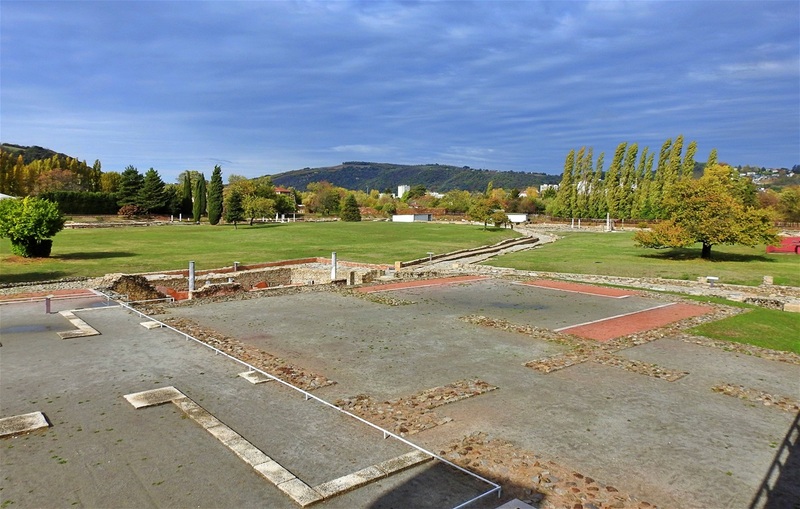 View of Vienne (Mont Salomon) from the roof of the museum.